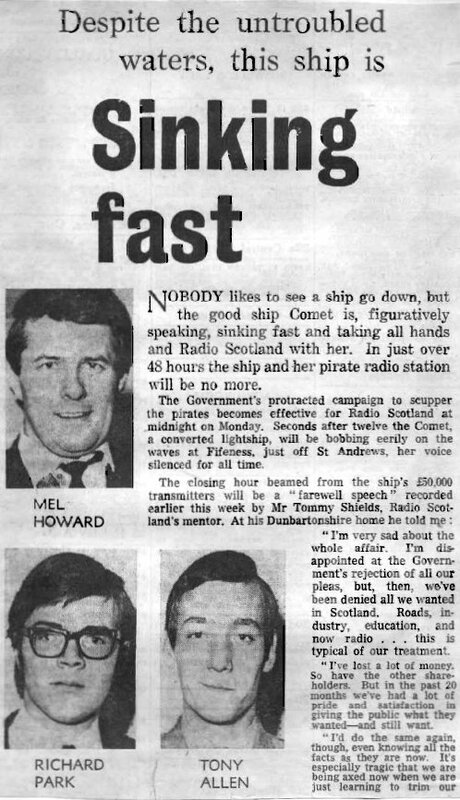 Some press cuttings from Derek's collection. 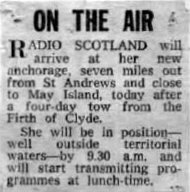 Local newspaper article about Radio Scotland. Source unknown. by-election of March 1967. In the event he changed his mind and withdrew his candidature. The marginal seat was won by the Conservatives. 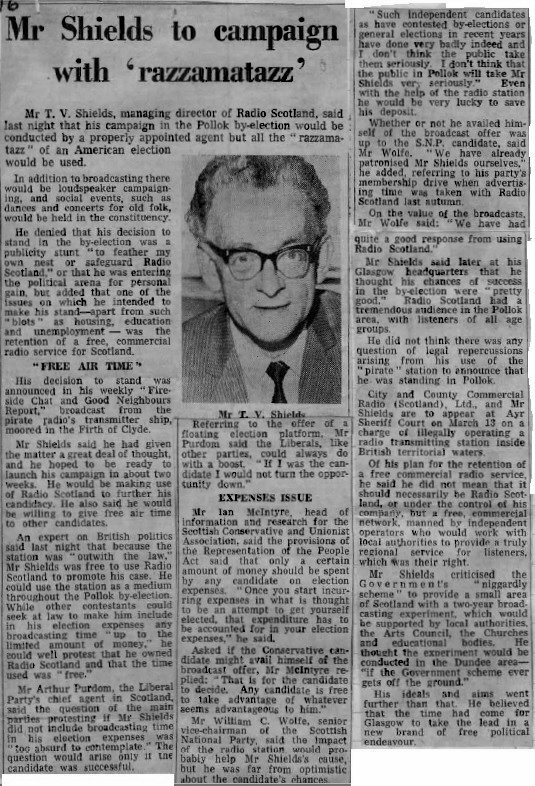 Undated press cutting (Daily Telegraph?) - the campaign for survival gets underway. 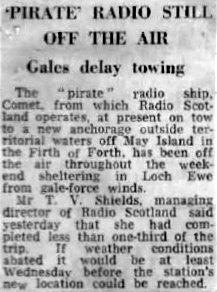 Towing the Comet back to the east coast after being found guilty of broadcasting from inside territorial waters in the Firth of Clyde. 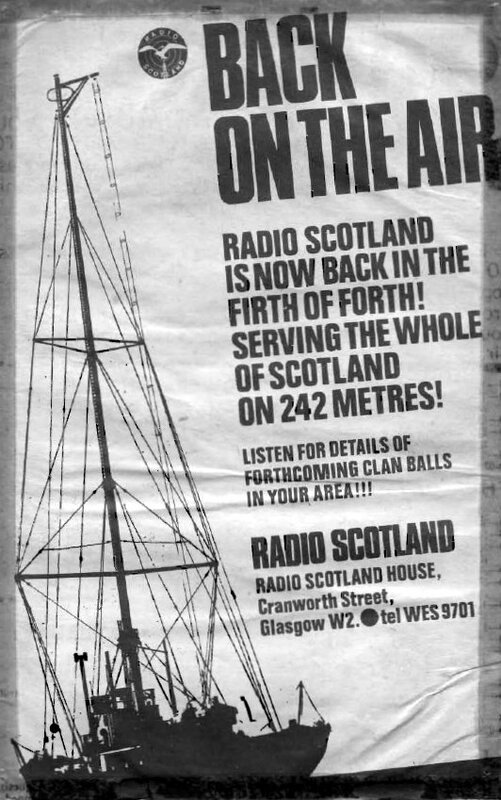 Radio Scotland is back on the air - press advert. Nearing the end. 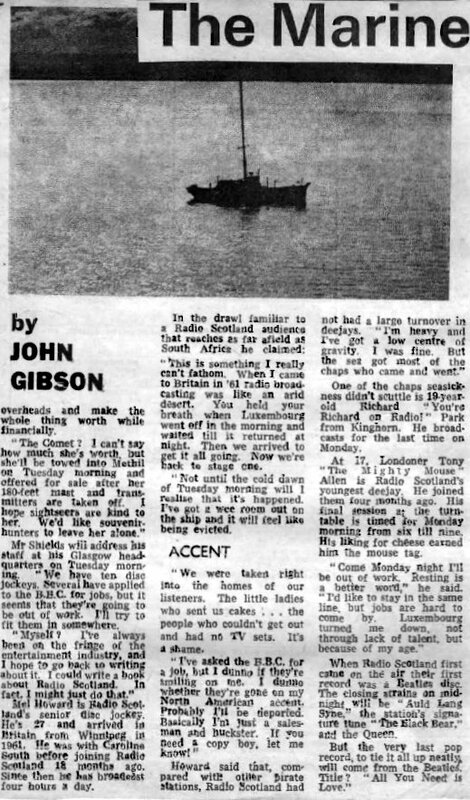 Article from an un-named newspaper, August 1967. With grateful thanks to Derek. 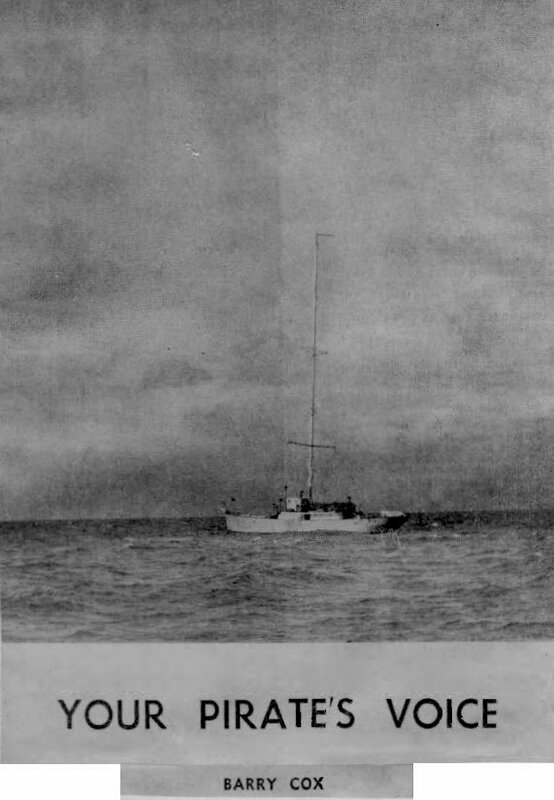 More from Derek's collection over the page.